I receive an amazing amount of emails each day and I'm always surprised to hear how many readers want to know more about the how-to's of printables. 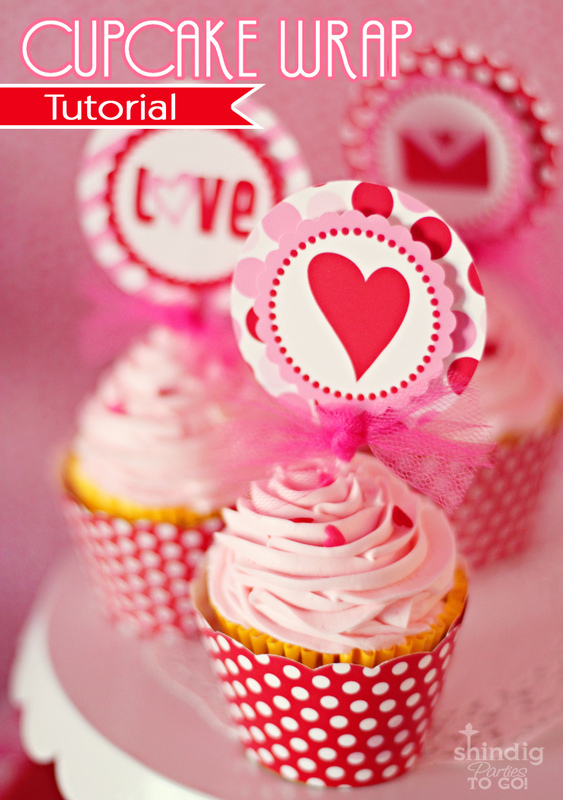 CUPCAKE WRAPS are one of those items many people seem to have a little trouble with. So today we're going back to basics... These are so easy and best of all, you can make wraps to coordinate with your other party decor using your own scrapbook paper. 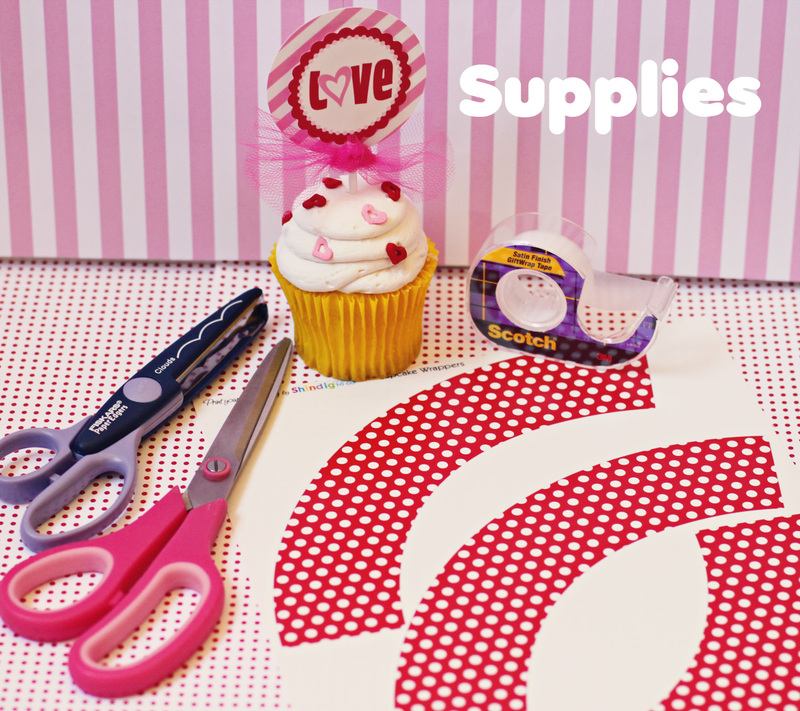 After printing the template, cut the wraps out with scissors and place over a piece of decorative scrapbook paper that matches your party decor. 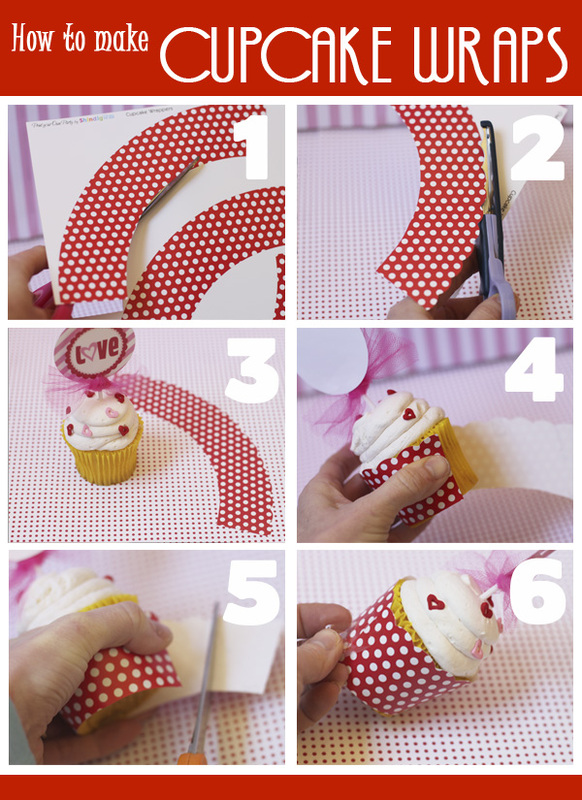 This way you can have any color or pattern cupcake wrap you need. So easy! I hope you will all be inspired to make your own cupcake wraps. Thankssssssssssssss a lot, will be very helpfull. You posted this at the perfect time! I am about to make these tonight. Thanks! ps...love your blog and now i'm following you all over the place! I just love this display! I want to do the pop bottles - hope I can find them! Love all the details! So much fun! I just wanted to let you know that I shared your fantastic idea on my blog http://www.eatcraftsow.blogspot.com.au/. Please let me know if there is anything that you would like for me to remove. I just pinned this!! Thanks for the tutorial!! Brilliant! Wish I had thought of this before for so many different parties. Thanks for the tutorial. 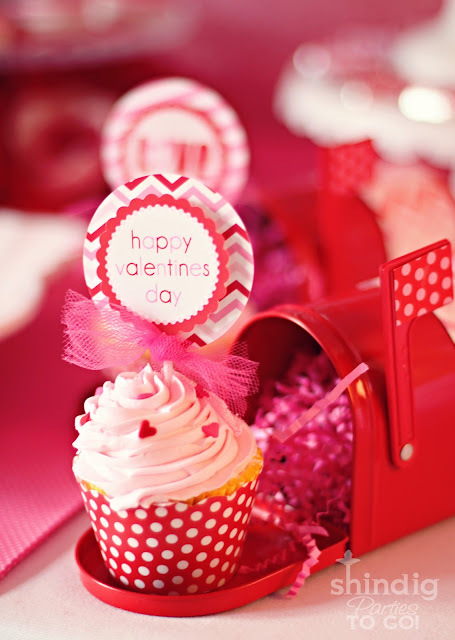 polka dots can make anything cute... ths for sharing the cupcakes! Is it too late to say thanks for this great tutorial? For an inexpensive and diverse cupcake frosting, whip up a basic vanilla frosting recipe, then divide it into smaller bowls and add food coloring to create different colors of frosting. Cover the table with an inexpensive table cloth to save on messy cleanup.